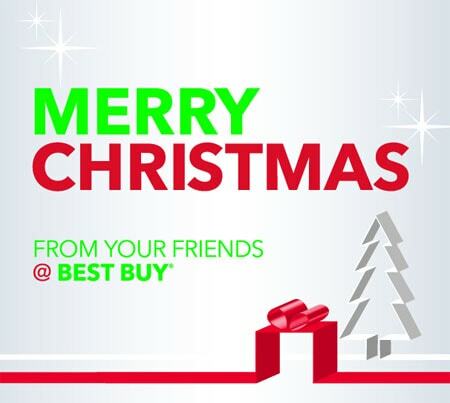 If you’re looking for more holiday gift ideas this holiday season, consider doing your shopping at Best Buy. From the newest video games and movie releases to the latest technology, plus over 100 feature products available only at Best Buy this holiday, you’ll be able to find something for everyone at Best Buy. Not sure what to get? No worries there. Best Buy “Blue Shirts” and Geek Squad agents can help you find the perfect gift for your family and friends by introducing you to the hottest tablets, mobile accessories, and more of the technology products and services available. If you’re doing your shopping online, check out the Best Buy Gift Center for more gift ideas for everyone. After browsing the Best Buy Holiday gift center, I have my eye on the Microsoft -Surface tablet for Gil. Also at the Best Buy Gift Center is the Logitech Harmony Universal Remote. If you recall my last review of the Logitech Remotes, this is definitely a great product for anyone who enjoys watching TV and is currently on sale at BestBuy for just $74.99. While Best Buy is a great place to find technology gifts, sometimes you might be looking for something more unique. Local artisan-made and Made in Montana products are great gifts ideas for the holidays that offer a taste of Montana living. Best Buy Holiday Shopping Offers! If you’re ready to head to your local Best Buy and start shopping, don’t miss these two amazing offers! Now through January 18th, 2014 you can save on some of this season’s hottest toys and music accessories at Best Buy. Best Buy carries a maket-leading selection of the hottest wearable technology, health and fitness gear and tech toys. Save 15% off Health & Fitness products, Fisher Price & Mattel Toys at BestBuy. Print this offer and take it to your local Best Buy or use code bloggers15off at checkout on bestbuy.com. Built to Rock. Designed to Roll. Bring powerful sound wherever life takes you with UE compact wireless speakers. Save 10% off Headphones and Portable Speakers (Excludes Beats, Bose and Sony Product). Print this offer or use code bloggers10off at checkout. Don’t forget that BestBuy has a low price guarantee as well as in-store pick-up, which means you can get the absolutely lowest price on the latest technology gifts and pick them up in the store. Still not sure what to get? Then you can follow this handy holiday shopping motto “When all else fails….gift card!” Give the gift of a Best Buy gift card and let the recipient choose their own perfect gift! What would you want to get from Best Buy? I do have to say that my husband and I are always pleased with the “blue shirts” at Best-Buy. They never hard-sell and we always come away with a handy tip or two, even if we don’t buy anything! I’m surprised at how great their Black Friday deals were this year.